On June 19, the Colombian government and the Revolutionary Armed Forces of Colombia (FARC) announced the establishment of a peace commission after the signing of accords in Havana. The commission is intended to exist for three years and will be run by a committee of 11 nonpartisan members who have yet to be selected. It will be charged with “giving answers to Colombians and especially to the thousands of victims that demand the truth” about the decades-long conflict. Within an attempt to balance the pragmatism needed for a speedy consensus and the protracted work of peace and reconstruction, the commission faces great challenges prior to success: the diverging requirements of justice, the short length of the commission, and the inconsistencies in transitional law applied to the different participants. 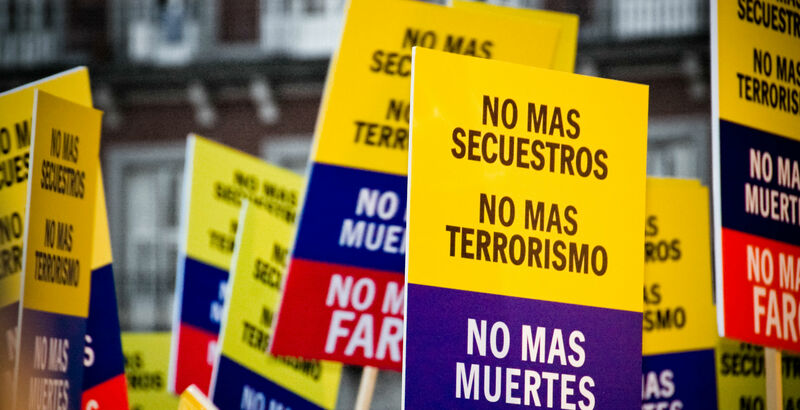 The negotiation between the Colombian government and the FARC includes six main points. By the end of 2014, the negotiators had reached partial agreements around three issues: agrarian reform, political participation of those involved in the conflicts, and the strategy against illicit cultivation and drug trading. However, in the past year and a half, negotiators have failed to reach a consensus on human rights, the implementation of peace accords, and the end of conflict disarmament process. The principles of negotiation on the issue of human rights includes “indemnification” and “the revelation of truth”; these issues fall within the domain of the truth committee. Once a consensus is reached on all six points the final agreement will be subject to a public referendum, highlighting the importance of national acceptance of the peace proceedings. Hatred, resentment, and the evasion of responsibility have blurred any semblance of truth during the past decade of conflict for Colombians. Consequently, the country has been subjected to an unfortunate cycle of ingrained violence. Humberto de la Calle explains, “The search for truth is a cornerstone in the overall system of truth, justice, reparation, and non-repetition. Clarifying what has happened cannot be isolated from what will be a comprehensive effort to satisfy the victims. Only by knowing the truth as Colombians, will we be able to transform our history.” The findings of a commission prove essential to the process of peace and reconciliation in Colombia. Over the course of the negotiations and throughout Colombian history, participants in the negotiations have disagreed on the origins of the violence—both the reasons for it and the initial moment. Basta Ya!, a report by the Grupo de Memoria Histórica (Historical Memory Group), remains to date the most accepted interpretation of Colombian history. The report places the beginning of the conflict around 1958, during the onset of the Frente Nacional (National Front), an agreement for 16 years where the liberal and conservative parties traded off the holding of public offices, including the presidency. On February 10, the Comisión Histórica del Conflicto y sus Víctimas (Historical Commission for Conflict and Its Victims), which emerged from negotiations in Havana, produced a report that recognized the differences of interpretation in Colombian history. Several members of the commission, including representatives from the FARC, traced the start of the conflict to 40 years before the creation of the FARC during La Violencia. Still contradicting the initial report by the Historical Memory Group, other members asserted that the conflict’s origins lay in the dissolution of the National Front, not during its commencement. Negotiators also discussed whether the National Front represented a period of stability, or was the cause for violence. As for the actual reasons for the conflict, the participants of the commission are divided into two camps. In the first, there are those who saw the emergence of capitalism and increasing inequality in Colombia as a central root cause. Others attributed the emergence of conflict to particular political and military decisions and ideological differences. Theoretically, post-conflict processes can take the form of either retributive or restorative justice. Retributive justice emphasizes punishment of the delinquents as the means of retribution for the victim. Meanwhile, restorative justice focuses on both the necessities of the victims and of the delinquent; it emphasizes “reparation of the damage” and the reconciliation of the community through rehabilitation of the criminal. Truth commissions are generally classified within restorative justice as they have an emphasis on the acquisition of truth outside of a juridical context. “Normally, it is truth commissions that first come to expose the incidents and to deduce from its findings the responsibilities and measures to compensate the victims and guarantee a no repetition,” clarifies a report by the International Crisis Group. Even though Huberto de la Calle emphasized the restorative approach, saying, “The victims are the reason for this effort to put an end to the conflict,” the focus of the current process appears instead as a balance between restorative and retributive justice. Still, this attempt to create an equilibrium within the peace process could come at the cost of efficiency. Although the prioritization of restorative justice is appropriate for a country characterized by high levels of civil violence, the population wants retributive justice as well. Tired of impunity, citizens demand not only truth, but also justice. In an attempt to achieve a balance, negotiators in Havana decided that the truth commission’s findings will be excluded from the juridical framework—in other words, the information and evidence shared throughout the commission cannot be used in a court. The commission additionally attempted to ensure participation in the commission by making it a condition for receiving the benefits of transitional law. Transitional law refers to the special measures agreed upon by participating parties during a post-conflict process. These complex legislations are particular to the circumstances and are intended to balance reconciliation, amnesty, and justice. Transitional law may include legal amnesties for former combatants and shortened sentences, as was the case in the Autodefensas paramilitary group’s process. Although transitional law for the FARC has not yet been agreed on in Havana, several logistical problems toward the establishment of an efficient commission are already visible. Making participation in the truth commission a condition for receiving the benefits of transitional law opens the possibility for the accused to use the process as a shield from their impending judicial process, compromising the efficacy of the two procedures. Anticipating their judicial procedures, the participants within the commissions may avoid divulging any incriminating information. Despite the fact that their declarations cannot be used as evidence in a court of law, it could allow for the commencement of an investigation in search of other sources of evidentiary support. On the other hand, the same logic could be used to invalidate the judicial procedures themselves. Public media has expressed the fear that participants may use confessions at the truth commission as a shield leading to impunity. Additionally, although the anticipatory and extrajudicial character of the commission has been declared, this may not necessarily occur in actual practice. The order of the process—either first truth and then justice, the reverse, or a successive process—greatly impacts its function. Although having a truth commission before the juridical process could create a reconciliatory and restorative procedure from the start, this is an unrealistic expectation. If the truth commission followed the juridical process, the commission could function without the personal fears and anxieties that might affect the participants. Ultimately, the confidence of the population and participants in the process is most important for its functionality. Another concern is what impact the Ley de Justicia y Paz (Law of Justice and Peace) and the proceedings of the Autodefensas would have within the current process and moreover within the agreed upon truth commissions. Thanks to the negotiations with the government of Álvaro Uribe, the last battalion of the Autodefensas demobilized in 2006. Between 2003 and 2006, more than 31,671 gave up their arms. It was expected that 3,000 of these would enter the process of transitional justice under the Law of Justice and Peace; yet today only 50 cases have been processed—with only 19 convictions. This leaves an incomplete judicial precedent burdening the ongoing negotiations and the proposed truth commission. The current negotiations indicate that the disarmament process for the FARC will occur under a different transitional law and with different juridical conditions than the one currently in place for disarmament of the Autodefensas. While the Autodefensas had a very different relationship with the Colombian government at the time of their disarmament, leading to large differences in the procedures of negotiations and fewer concessions needed between the parties, these occurrences could still have an influence on the current negotiations in Havana. The established precedent of transitional law could also make the participation of ex-paramilitary members in the truth commission even more difficult. The Autodefensas would not be under the same political and juridical benefits and conditions as other participants, and the conditional benefits of transitional law for participation would not apply to them. Additionally, whether or not the former combatants have gone through their own legal processes would have a deep impact in the results of the search for truth as well as their participation in the post-commission policies. Although it is recognized that there are financial, logistical, and political limitations on the part of the participants and within the peace process itself, a truth commission that lasts three years would be too short for a conflict of such length and complexity. The conflict in Colombia dates back at least 50 years, with various participating parties, both historical and current. Given its short length, the commission is at risk of becoming a powerless apparatus of rhetoric for different political figures, focusing solely in the events of greatest magnitude or importance for these personalities and not on restorative justice for all citizens and victims. On June 16 during the Oslo Forum, Colombian President Juan Manuel Santos emphasized the sense of urgency felt in the peace process, as well as the necessity to commence a reconstruction process. Although the Colombian peace process is currently initiating its sixth cease-fire, the trail of failed attempts cannot be ignored. The announcement of the creation of a truth commission some weeks ago can be seen as primarily a rhetorical move on the part of the negotiators. Having agreed on the first few points within the negotiations—agrarian reform, political participation, and the policy against illicit drugs—the table has been quiet for the past year and a half. The remaining points—the rights of victims, the implementation of a peace accord, and the process of disarmament—present greater difficulties given their political and historical implications. The announcement for the creation of the truth commission is an empty statement, as its conditions are still dependent on the remaining conclusions of the negotiations and its legal and judicial determinations for the rest of the process. The announcement barely had any impact on the ongoing process. The inclusion of a peace commission is a generally accepted part of a post-conflict and transitional process. On another note, the emitted declaration can be seen as a strategy directed towards the public, promoting the idea that the peace processes are advancing and, furthermore, that Havana is not facing insurmountable difficulties. Additionally, given the voluntary nature of the commission, it presents actors with restorative and positive intentions, towards the acquisition of truth and justice. The particularities of the juridical procedures and of the transitional law lay within the points that have not yet been defined by the negotiation table. This leaves us with several concerns about future proceedings: The proposed length of the commission, the attempt to balance restorative and retributive justice, and the judicial precedent of the process with the Autodefensas present challenges to the commission. Striking a balance between ensuring the continuation of the negotiations while providing for long term peace and its required restorative procedures presents the greatest challenge for the negotiators in Havana. The rhetorical use of the truth commission coming at the cost of its execution must be avoided. Featured Photo: Demonstration against FARC Guerrilla and criminal narco-terrorist organisation, held in Madrid’s main square and more than 130 cities around the globe simultaneously. From: Camilo Rueda López. “¿Para Qué Servirá La Comisión De La Verdad?” Semana. June 6, 2015. http://www.semana.com/nacion/articulo/para-que-servira-la-comision-de-la-verdad/430356-3. “Parlamentarios Latinoamericanos Unen Fuerzas Por La Paz En Colombia.” Semana. June 6, 2015. Accessed July 1, 2015. http://www.semana.com/nacion/articulo/parlamentarios-latinoamericanos-unen-fuerzas-por-la-paz-en-colombia/430372-3. 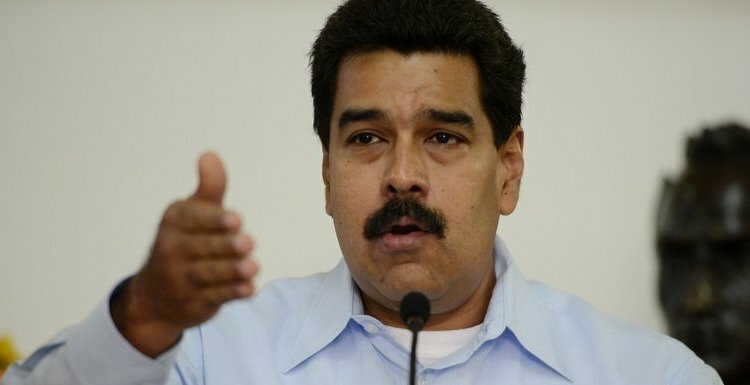 “¿Por Qué Colombia Necesita El Proceso De Paz?” TeleSur. July 2, 2015. Accessed July 4, 2015. http://www.telesurtv.net/telesuragenda/Paz-para-Colombia–20150528-0053.html. “Colombia Anuncia Creación De Comisión De La Verdad.” BBC Mundo. June 5, 2015. Accessed July 7, 2015. http://www.bbc.com/mundo/noticias/2015/06/150604_colombia_proceso_paz_gobierno_farc_comision_verdad_nc. “Y Al Fin ¿cuándo Empezó La Guerra En Colombia?” Semana. February 12, 2015. Accessed July 7, 2015. http://www.semana.com/nacion/articulo/cuando-empezo-la-guerra-en-colombia/417710-3. “Desacuerdos Sobre La Guerra.” Verdad Abierta. February 11, 2015. Accessed July 7, 2015. http://www.verdadabierta.com/procesos-de-paz/farc/5613-desacuerdos-sobre-la-guerra. “Retributive vs. Restorative Justice.” Conflict Solutions Center. Accessed July 7, 2015. http://www.cscsb.org/restorative_justice/retribution_vs_restoration.html. “Una Comisión De La Verdad Para Colombia.” International Crisis Group. August 23, 2014. Accessed July 7, 2015. http://www.crisisgroup.org/en/regions/latin-america-caribbean/andes/colombia/op-eds/jciurlizza-una-comision-de-la-verdad-para-colombia.aspx. “Tras 8 Años De Justicia Y Paz, Solo Se Conoce El 10 % De La Verdad.” El Tiempo. August 14, 2014. Accessed July 1, 2015. http://www.eltiempo.com/politica/justicia/justicia-y-paz-reparacion-de-victimas-del-paramilitarismo/14336059. “¿Por Qué Está Enredada La Libertad De Los Exparamilitares?” Ventana Abierta. May 19, 2015. Accessed July 1, 2015. http://www.verdadabierta.com/justicia-y-paz/juicios/5789-por-que-esta-enredada-la-libertad-de-los-exparamilitares.